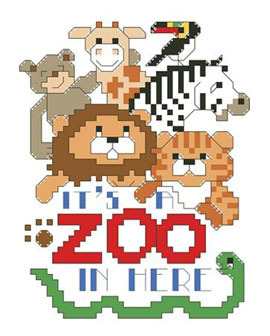 Celebrate the craziness of life with these charming zoo animals. They are funny but not ferocious. This small design could be stitched on a baby bib or made into a special card. Let your imagination run wild! Contents: Stitch Count 41w X 54h, Finished size on 14ct: 3" x 4"